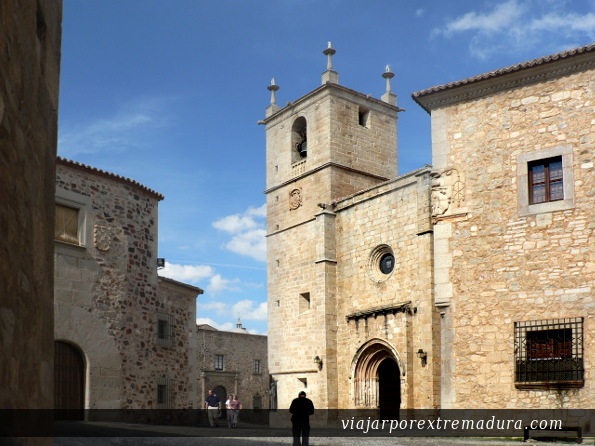 A journey that shows us the cities of Cáceres, Guadalupe and Mérida. They had been declared World Heritage by UNESCO. Among all the beautiful places and the artistic richness in Extremadura, the so called “World Heritage Triangle” made of Cáceres, Guadalupe and Mérida stands out. These three cities have been recognized by the UNESCO with such distinction. 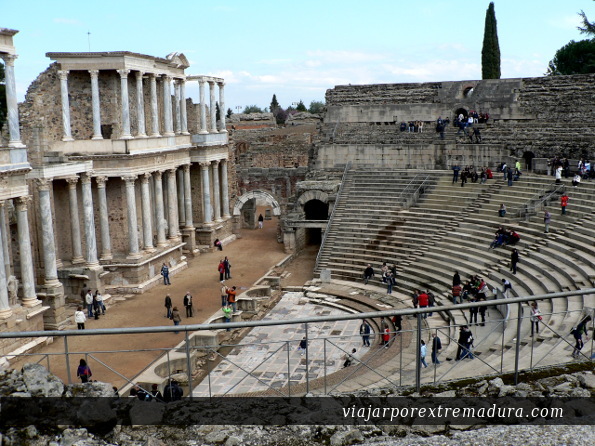 Mérida was a Roman Colony founded as Emerita Augusta by Roman Emperor Augustus in the year 25 B.C. Its most important buildings and private houses have been restored and recovered to preserve the Archeological Ensemble of Mérida. Among the best well-kept buildings we may find the Theatre, Amphiteatre or the Circus. 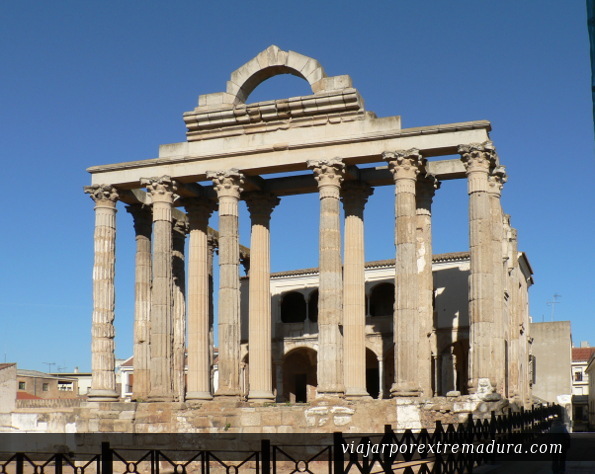 As well as the Miracles Aqueduct, Roman bridge over the Guadiana River, Diana’s Temple, Mitreo’s House or the Arab Fortress are examples of the large amount of monuments that stand out in Mérida. To maintain the legacy alive the museums dedicated to the civilizations that settled down in Mérida complete the cultural offer. The most well-known is the National Museum of Roman Art, it was built by the famous architec Rafael moneo. However there are other museums such as the Geological or the Visigoth museum that offer a wide variety of activities to see and do. 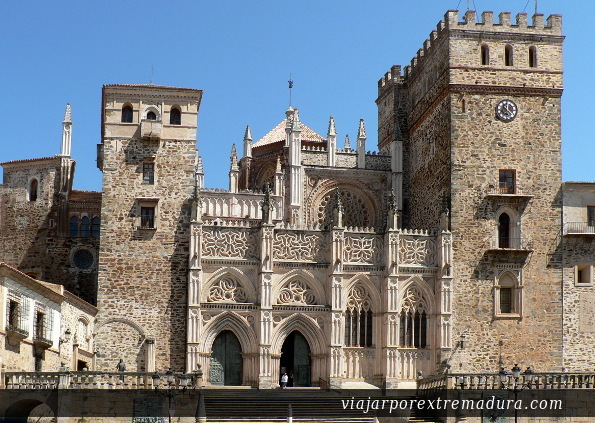 The Royal Monastery of Santa María de Guadalupe, it is knonw after “The Museum of the museums” due to the historic artistical heritage inside its walls, for this reason the Monastery is famous in Spain and the rest of the World. Zurbaran’s works of art or the books are housed in a Gothic Mudejar Renaissance style Monastery make the stay unforgettable. During the year 2007 the jubilee year of Nuestra Señora de Guadalupe acts are held and thousands of pilgrims and visitors go to the Monastery to celebrate it. On the way back to Mérida we meet the towns of Santa Amalia, San Pedro de Mérida, Trujillanos and Navalvillar de Pela, the latter is well-knonw for the San Anton Horse Race Feast, it is declared as Celebration of Interest. All these places are representative corners and landscapes of Extremadura.